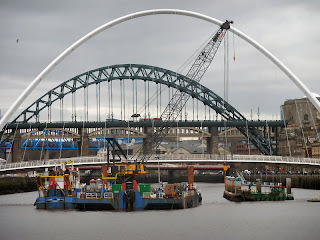 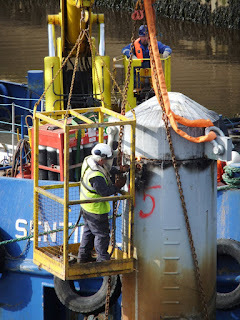 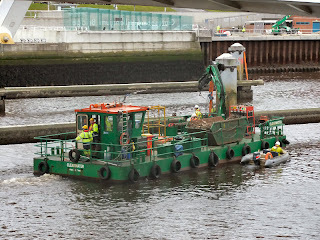 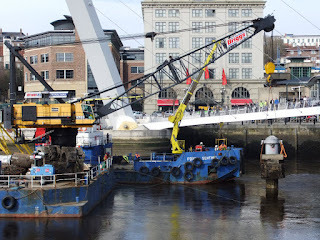 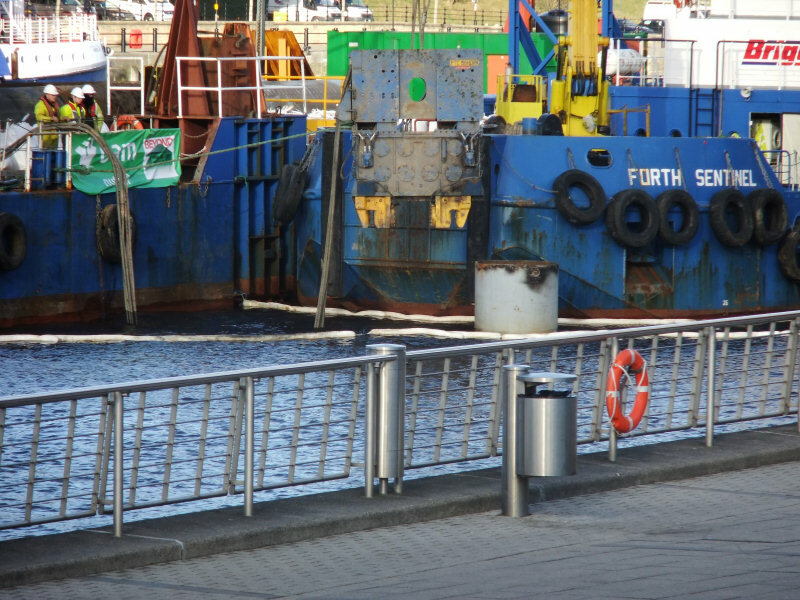 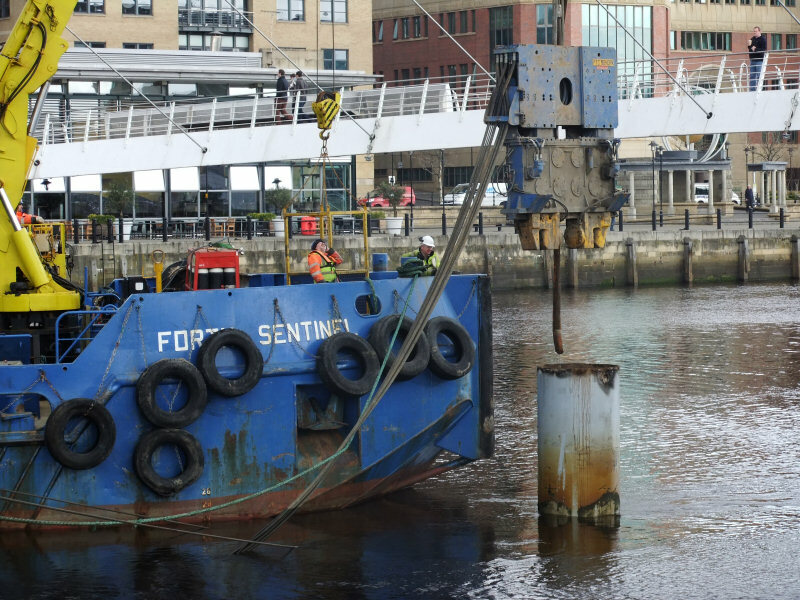 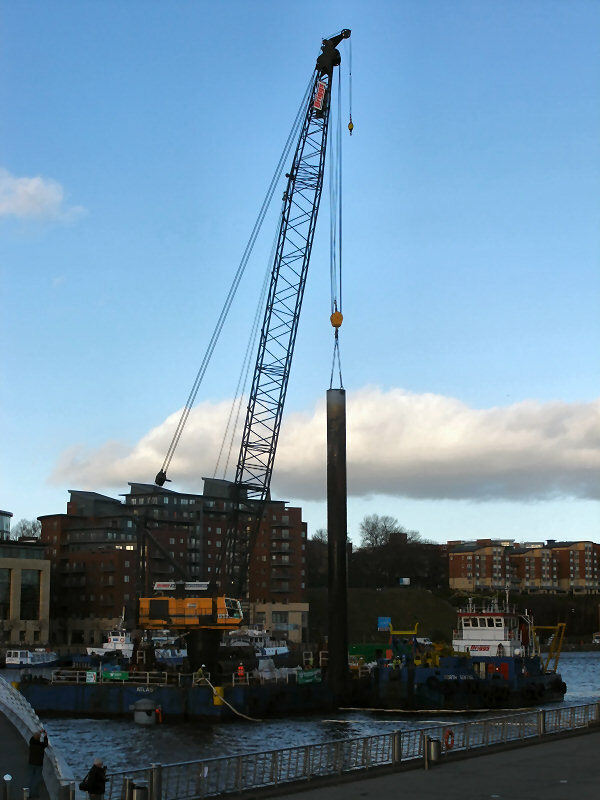 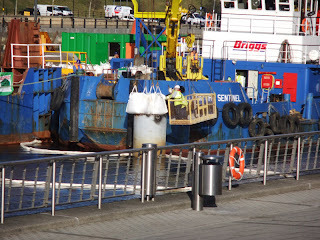 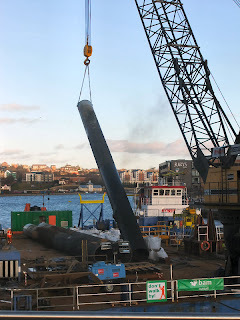 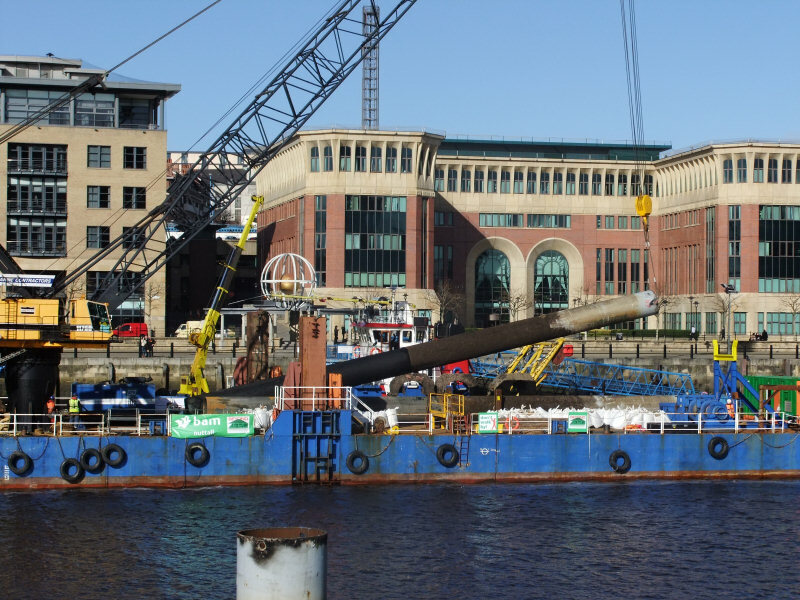 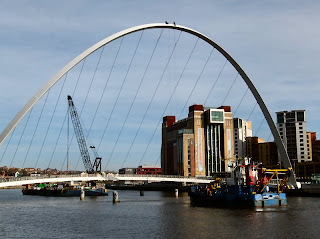 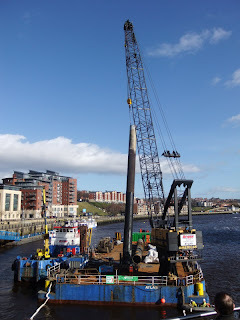 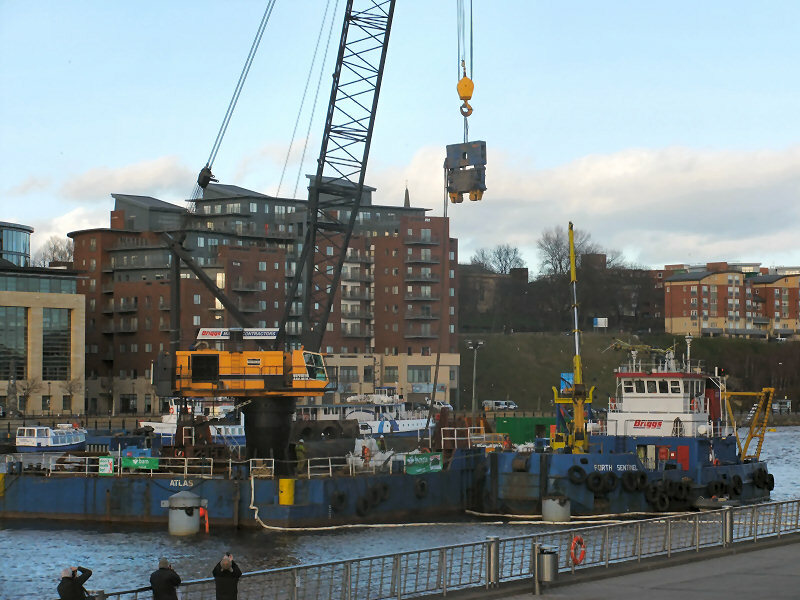 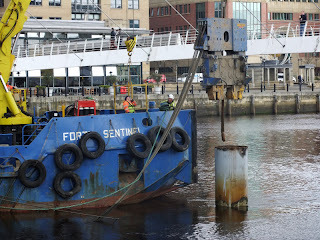 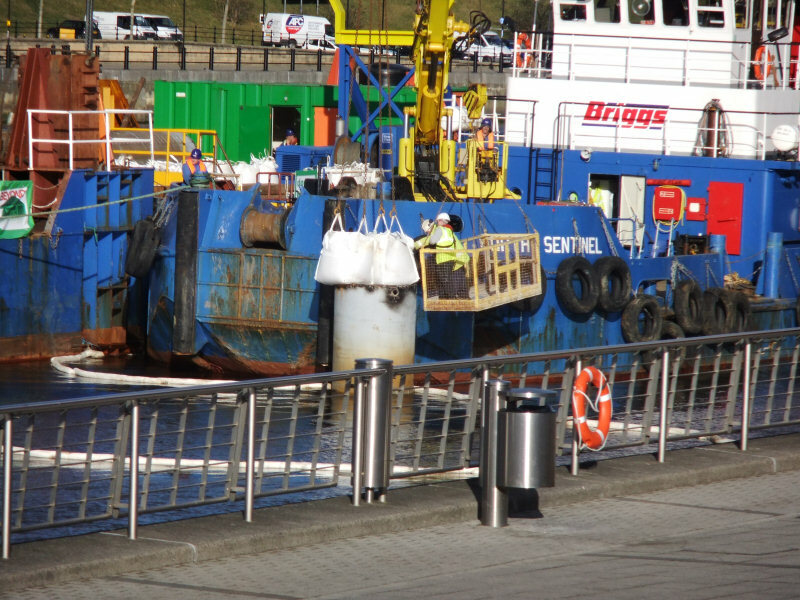 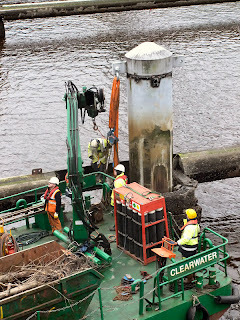 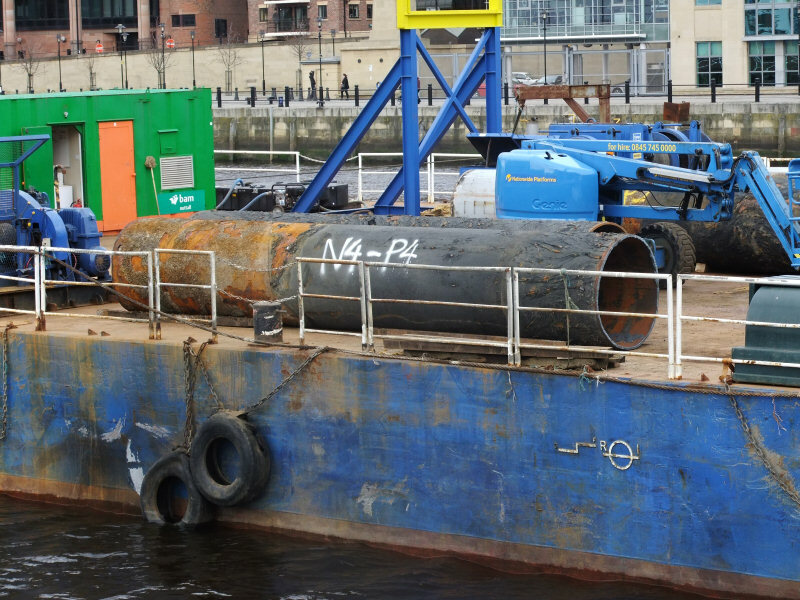 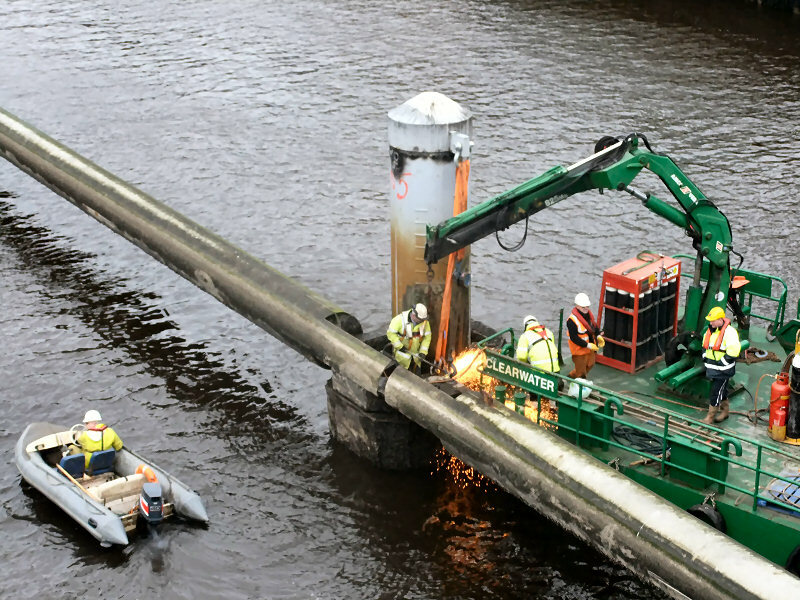 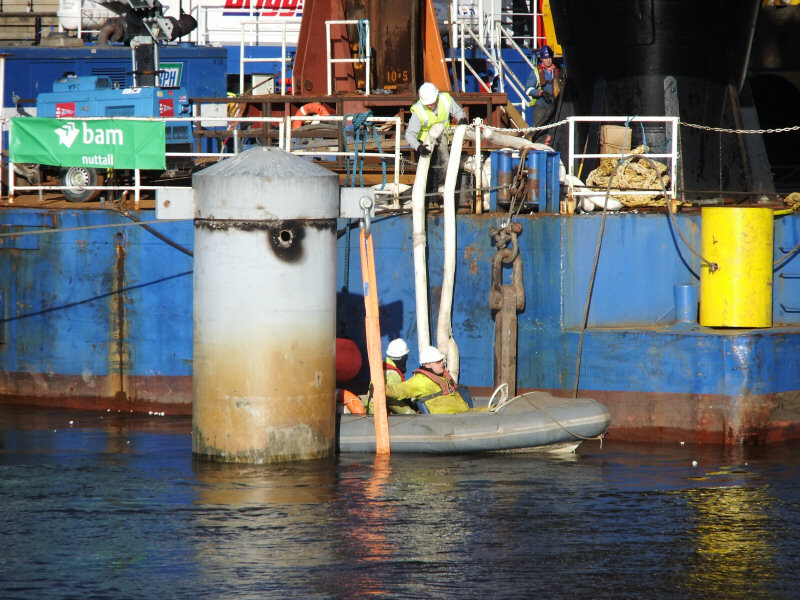 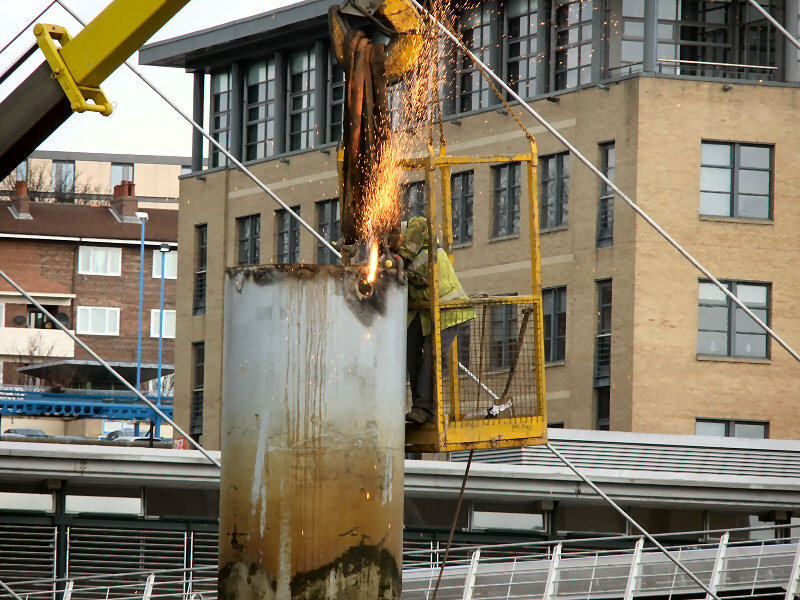 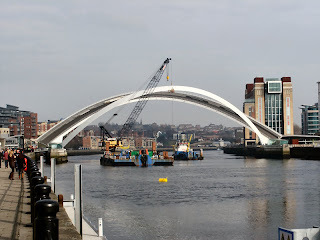 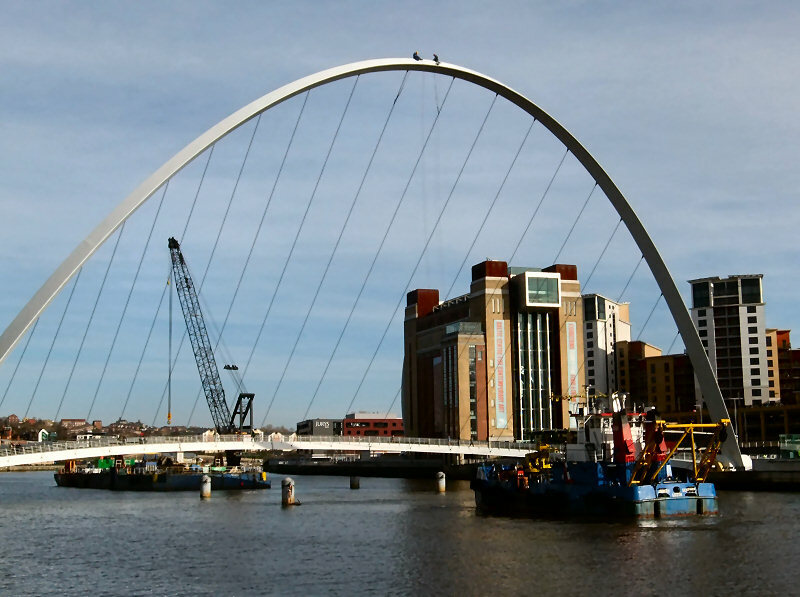 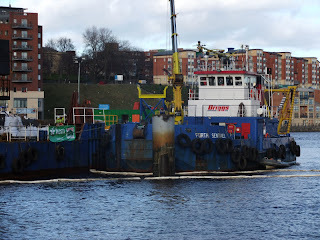 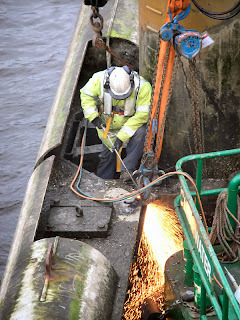 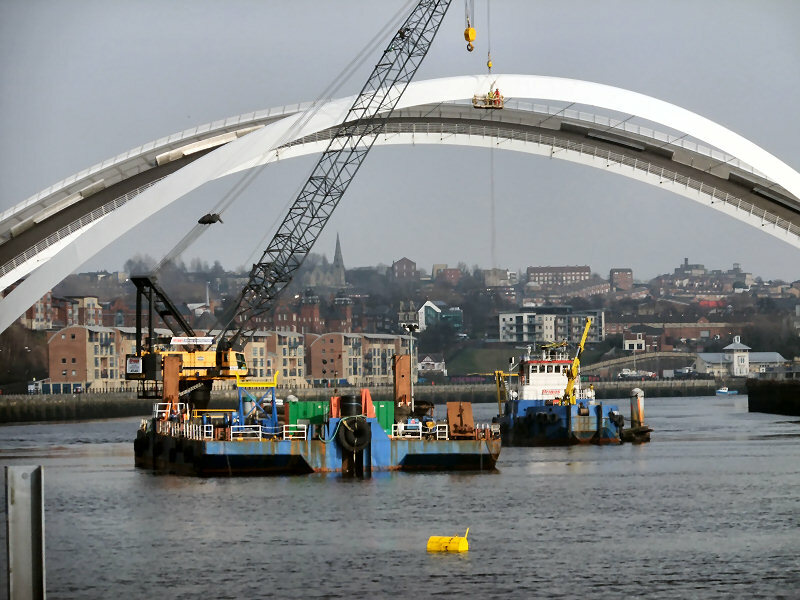 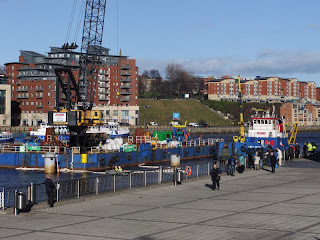 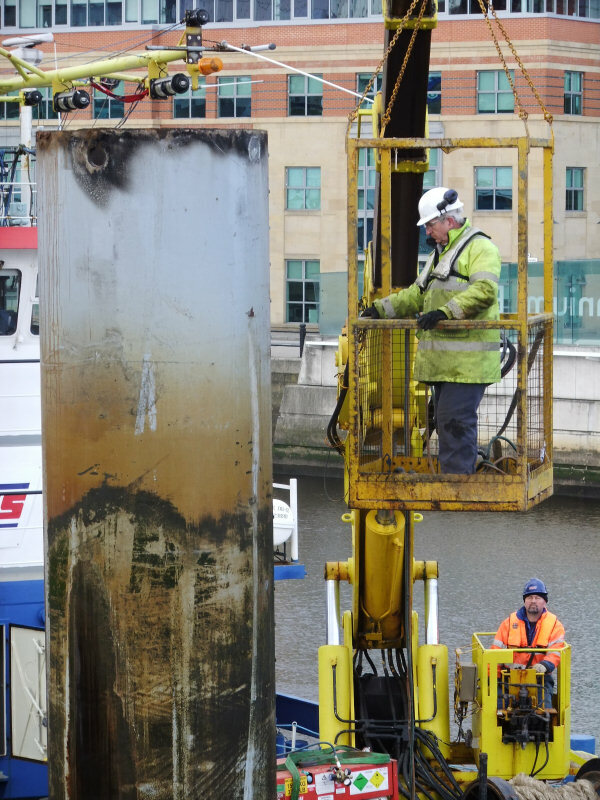 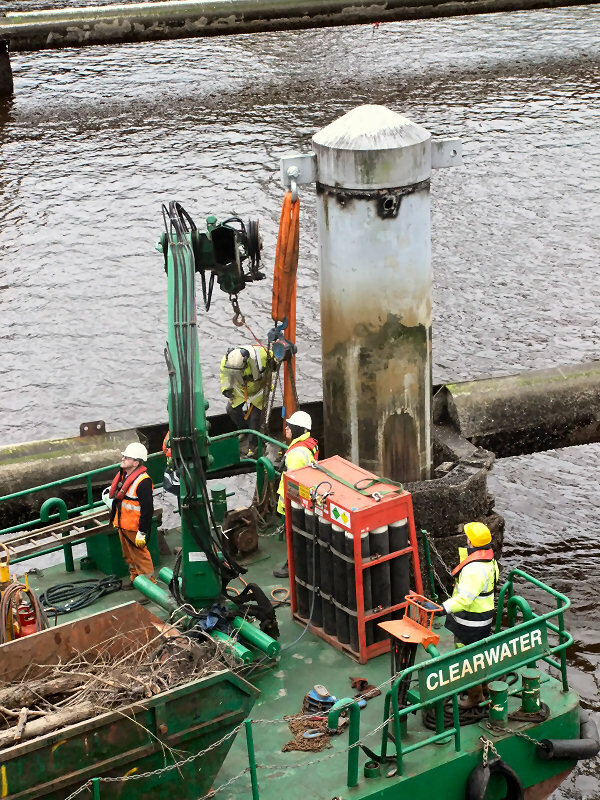 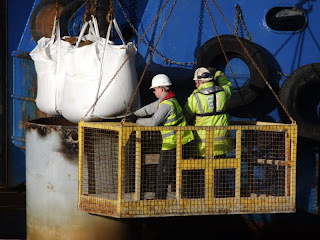 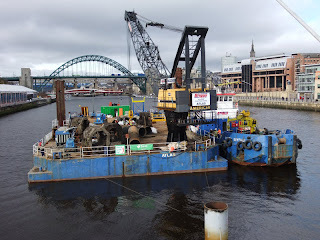 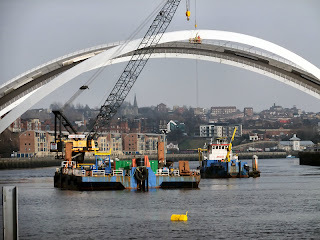 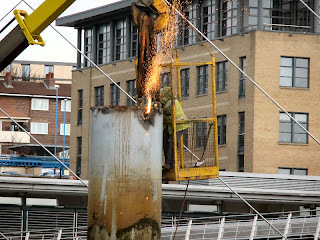 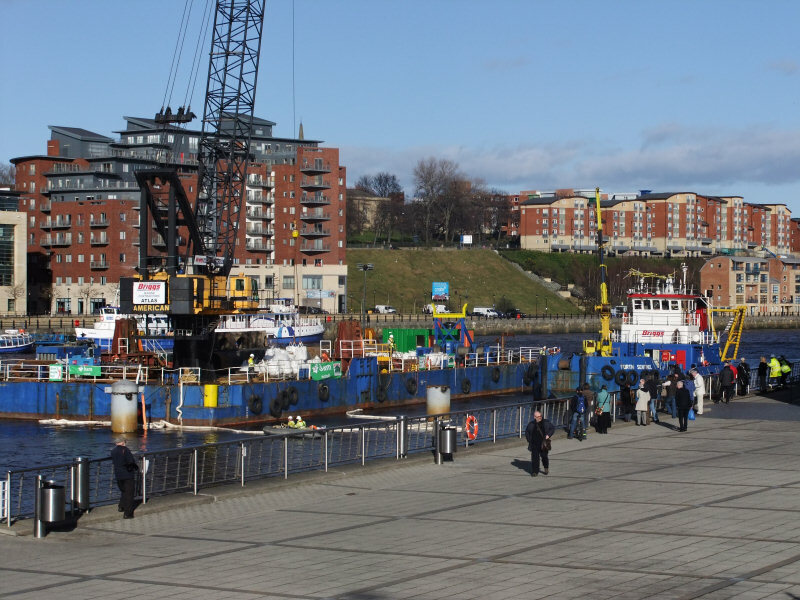 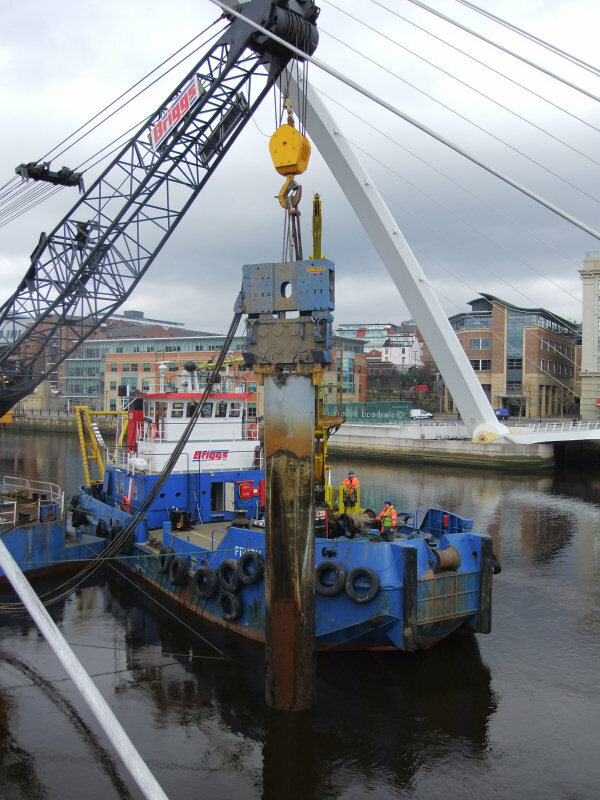 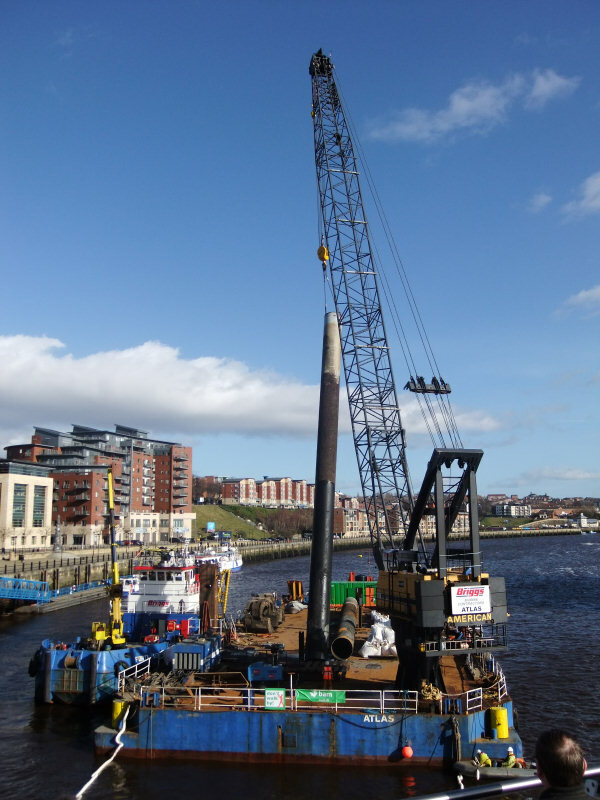 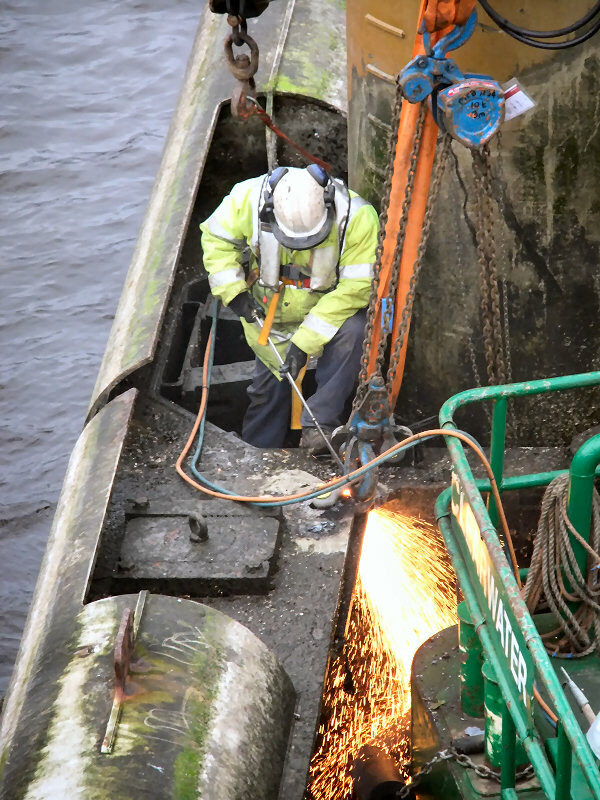 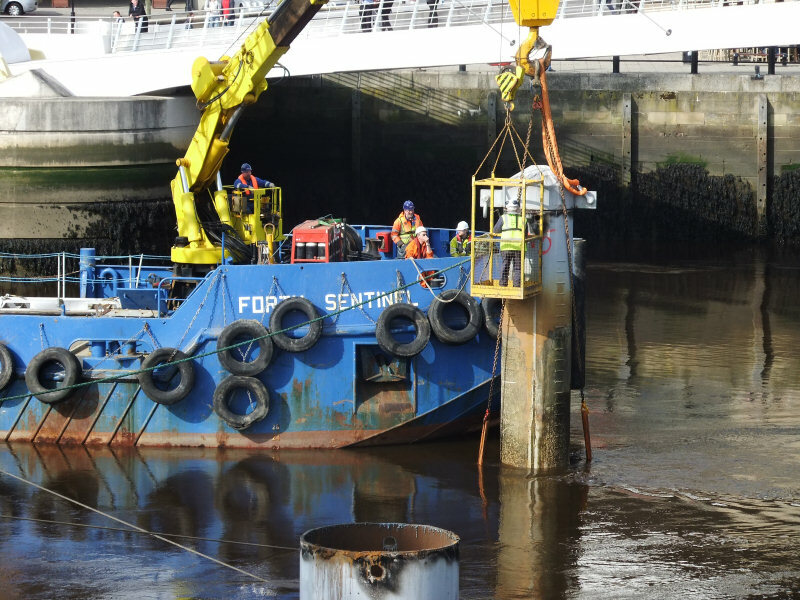 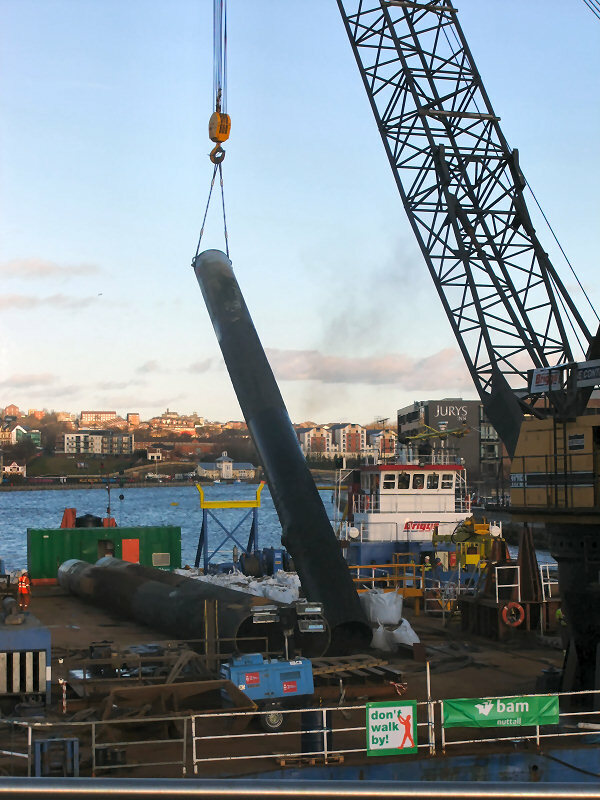 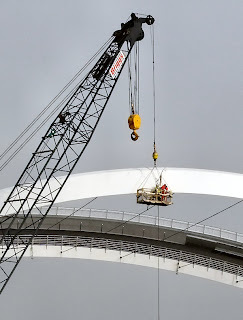 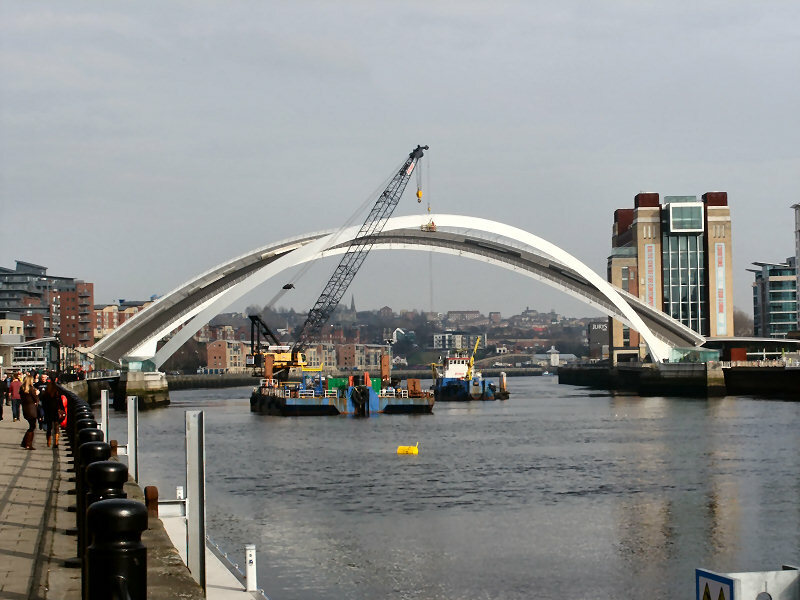 A handful of photos taken on Friday 24th February of the removal of some of the bollards around the Millennium Bridge. 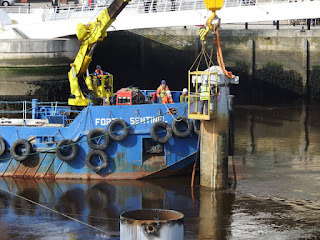 The task seemed straightforward enough but I wonder if this process will work when it comes to getting the bollards underneath the bridge out. 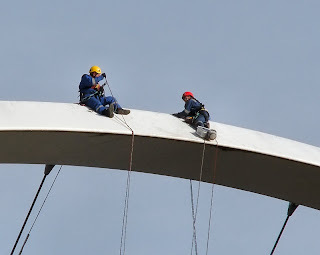 I will try and get back down there sometime next week to see how the others are done. 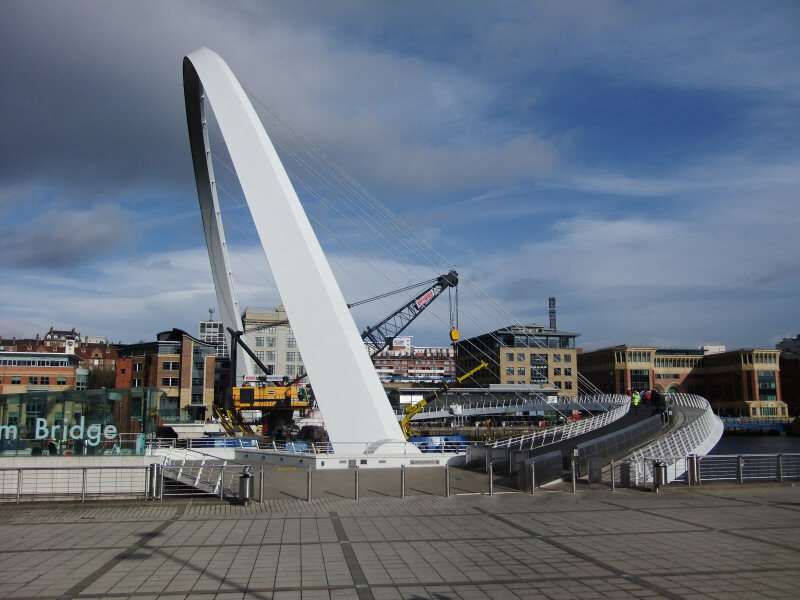 I am glad that the bollards are being removed, they appeared ugly and contrasted with the elegance of the "blinking eye" bridge. Yeh, me too. 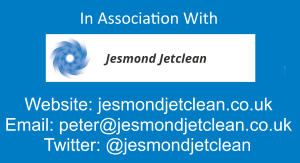 It certainly looks a lot tidier.